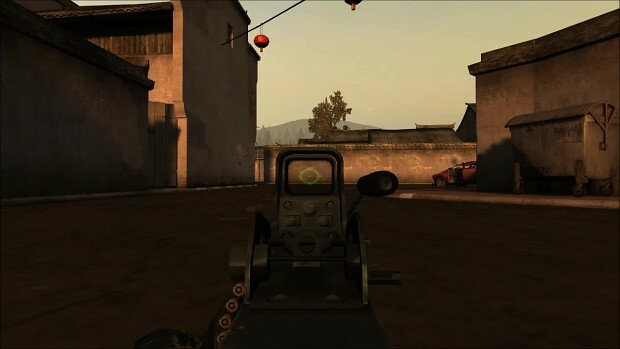 Alpha Project is a Battlefield 2 modification which goals are to bring back all the features that were left out in the retail game. The gameplay style of the mod is a mixture of arcade and realism. Simple but effective! So i am going to guess that more camo will be available later? maybe a camo spraypaint like the guns in bf3? My comment was two months before then lol. By the way, I never figured how to actually earn the camos. Will there be arctic camo as well then? This mod deserves to be mod of the year! I actually like the reload animations better than the actual game's reload animations. Truly awesome! But is it just me or is the Elcan on the M249 a bit small and awkward-looking? This Is becoming more epic by each new update they bring out. Keep up the good work you guys! Is there any prevision for an update patch? What would be nice to see in the future is more factions like PR, spice things up with different vehicles and weapons :D Also with the rifles that don't have scopes, like the M16 grenade launcher engineer weapons, why not let them have the M68 only? its no zoom and not much better than the irons so it wouldn't make those classes overpowered. uhm, I cant modify the weapons, is that ok? This will come in the next update then? Looks Great cant wait to get my hands on it keep up the good work! Hey may I request something? Could you replace the default recoil system? It becomes very annoying when I am firing full auto THROUGH my sights and cant hit a target 50m away... It would be AWESOME! Plus if you could, in any way make it so YOU can set the amount of ai in a single player match? Like 16-64? That would be awesome too! why couldn't i find the menu for weapon customization when i choose the spawnpoint? can anyone solve the problem? thx! you could actually add AP (Anti personel) and HE (High explosive) rounds to the customization. THE CONTENT IN THIS VIDEO IS WORK IN PROGRESS SO NOT RELEASED YET!!! First i am realy pleased to finally show our own customization system weve been working for some time now, which would have never been realisable without the help of our python coder and menu editor Hjid, i want to say a big thanks for the hard work that went into this groundbreaking system for weaponcustomization and the menu for it! Also i want to thank Bad_santa12345 lots for all the different weapon model variants he put together for the customization system not to forgett his 3d scope shaders and zoom in animations!